They make perfect gift ideas, too! (SPOT.ph) Accessories make such a great outfit-topper—and what better way to spruce up your look than with jewelry? 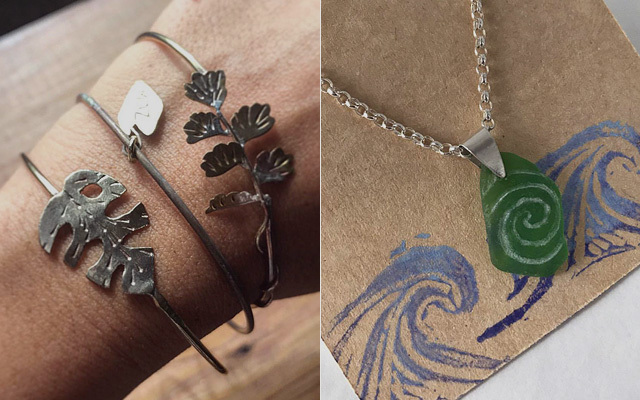 The good news is you don't need to splurge on designer pieces because we've got some great local brands that make equally pretty (but more affordable) trinkets for whatever the occasion. They make perfect gift ideas for your loved ones, too! 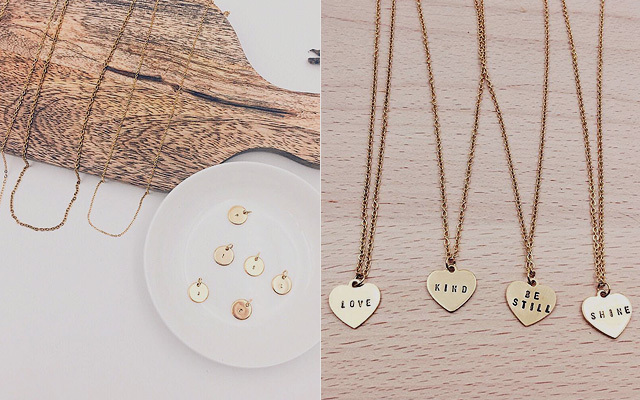 Kim Tiam-Lee started this passion project that strings jewelry with the power of words. 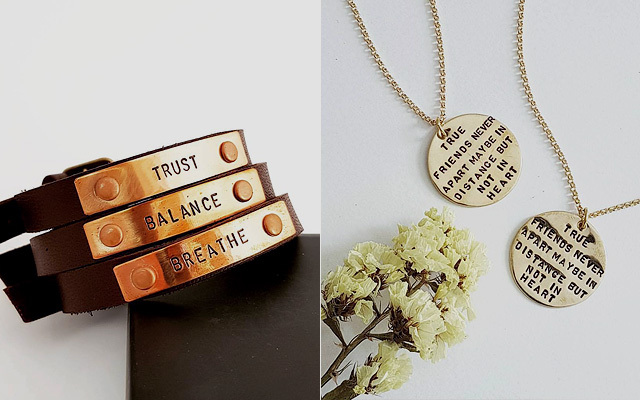 It explains why most of the shop’s items have empowering words or phrases on them—and are hand-stamped! From bangles to necklaces and rings, you'll be sure to find something both beautiful and inspiring. The Better Gold Filled Bar Bracelet (P700) has already got us feeling better! For anyone who loves anything that has a bohemian or rustic feel, take a look at some of the products from Soul Flower. 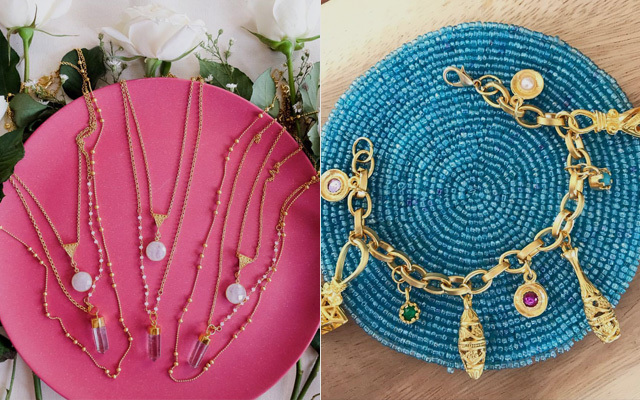 In 2010, Janina Arias and Patricia Peralta formed their own brand of handmade accessories, and the two have been lovingly designing and crafting their own pieces to date. Just put on their Hemera Earrings (P590) or Athena Ring (P550), and watch how these accessories instantly refresh any basic outfit. Soul Flower also has crafting workshops, so be sure to keep an eye out! Shop their products online. For inquiries, contact hello@soulflower.co. Over in the Surfing Capital of the North is the duo that started Tali Ti Amianan. 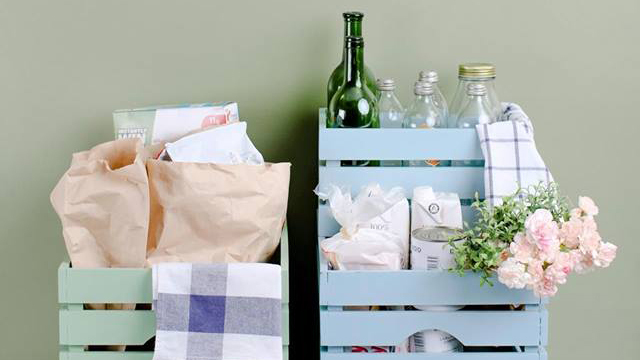 You'll love how they create some of their accessories by upcycling things that most people would throw away, like old shirts. The shop provides an avenue for the local community to earn money and be creative. Their colorful, braided bands would make some awesome friendship bracelets for you and your squad! Shop their products online. For inquiries, contact tali.ti.amianan@gmail.com. Keep an eye out for CARI’s products if you like your jewelry simple yet chic and elegant. 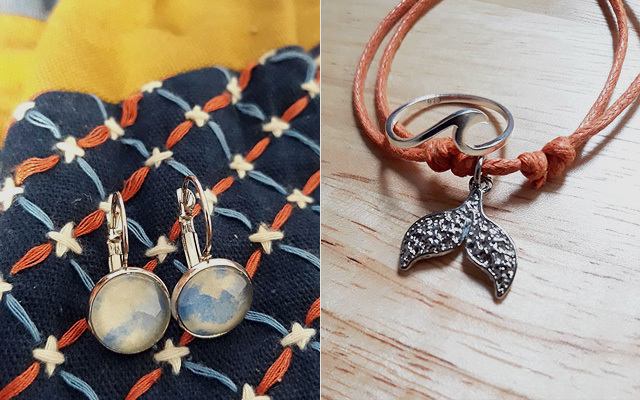 This brand sells all kinds of handmade accessories for any woman, and the best part is that each piece is versatile enough to go with just about any look! Just have a look-see at their take on the choker trend with their super elegant Flora Choker (P415) or the more minimalist Monroe Chain Choker (P328). Shop their products online. For inquiries, contact hellowearcari@gmail.com. 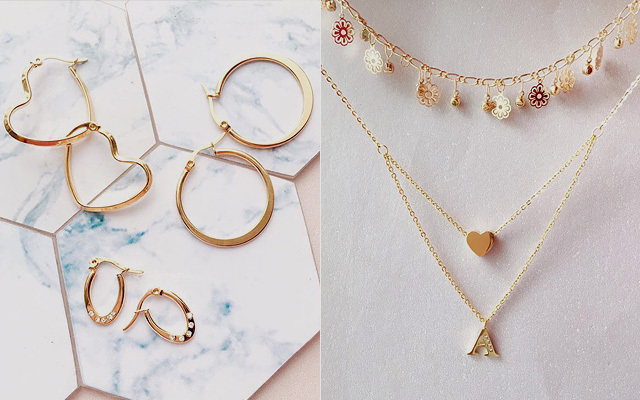 Heyjow tries to bring both trendy and classic pieces to the table, so you can expect some really original, innovative—but equally stylish and versatile—accessories for every occasion. They’ve got a pretty big selection to choose from, so you’ll definitely find something for any mood. Check out all the pieces from their new Spanish-inspired La Boqueria collection, they’ll have you dreaming about beautiful Barcelona! Shop their products online. For inquiries, contact contact@heyjow.com . Now that Christmas is only a couple months away, why not give your girl friends some pretty personalized jewelry from Istorya? Every piece is made by hand from start to finish, so each one isn’t quite like the other. Have their necklaces or bracelets personalized either with you or your friends' names, or put in your favorite words—either way, Istorya's got you covered! Shop their products online. For inquiries, contact istorya.creations@gmail.com. 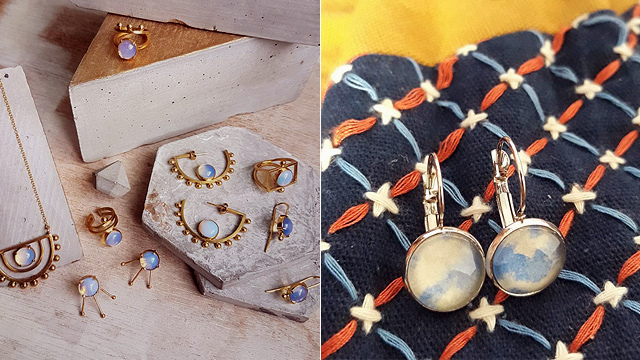 Unleash your inner mermaid with Cat & Kai's lovely sea-themed jewelry. Their accessories are made with their signature silver-and-sea glass combinations, and all have a certain charm to remind you of days by the beach. They've even got a Heart of Te Fiti pendant like the one from Moana! Give yourself that effortless ocean-ready look on your next beach trip with their pieces. Vi MNL has a collection of beautiful items versatile enough for any day and every day. 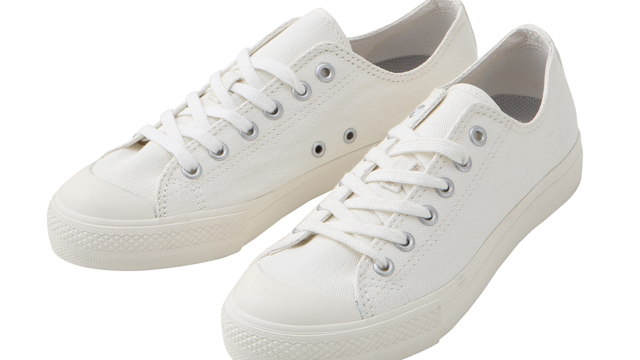 Their designs are minimalist, but definitely not basic. 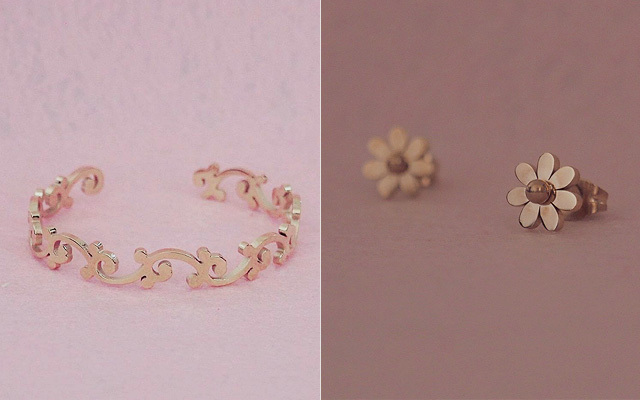 You can rock their Belle Earrings (P750) in a trendy rose gold together with a laid-back, casual look during the day, or pair them up with your favorite dress for that night out. Their best-selling rose gold Belle Bangle (P889) will turn any outfit sweeter! They don't only sell unique tribal-inspired accessories, they also give back to the community by donating a percentage of their sales to the Lake Sebu School of Living Tradition, a group that preserves the living traditions of the T'boli tribe. Nawa, which in the language of the T'boli means “Amen” or “let it be” is all about bringing in beautiful accessories made with an expert eye for detail. 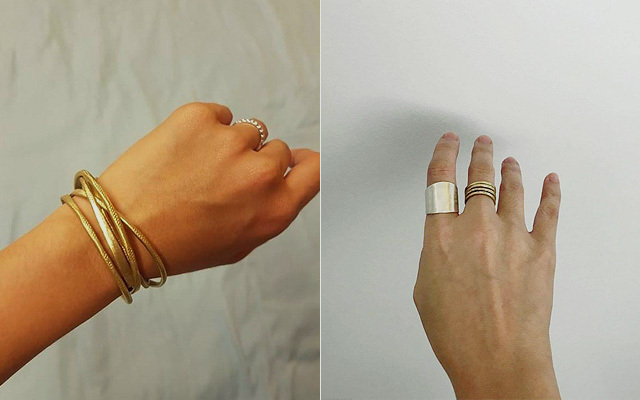 You can put on a stack of their brass bangles (P1,250/five bangles; P2,500/10 bangles) for an absolutely chic look without being over the top. If you're a big fan of jewelry that really makes a statement, then go for one or two of Flutter's many accessories. 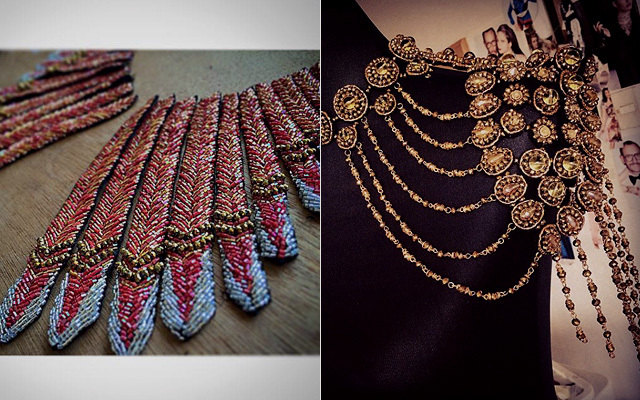 As an artisan crafter of beadwork jewelry, this brand's pieces are made by loving Filipino hands. 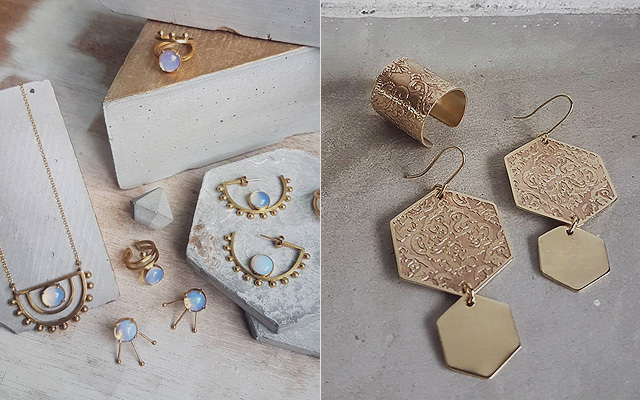 From rings with huge stone centerpieces to bold, thick chokers, all the way to daring earrings that'll really turn heads, Flutter is the perfect brand for anyone who loves bold accessories.